Euphrosyne of Polotsk Temple: holy decoration of Vitebsk. You should visit the Temple of St.Euphrosyne of Polotsk already because everything here breathes with purity and holiness, and the urban landscape as if under a light veil of the relic. 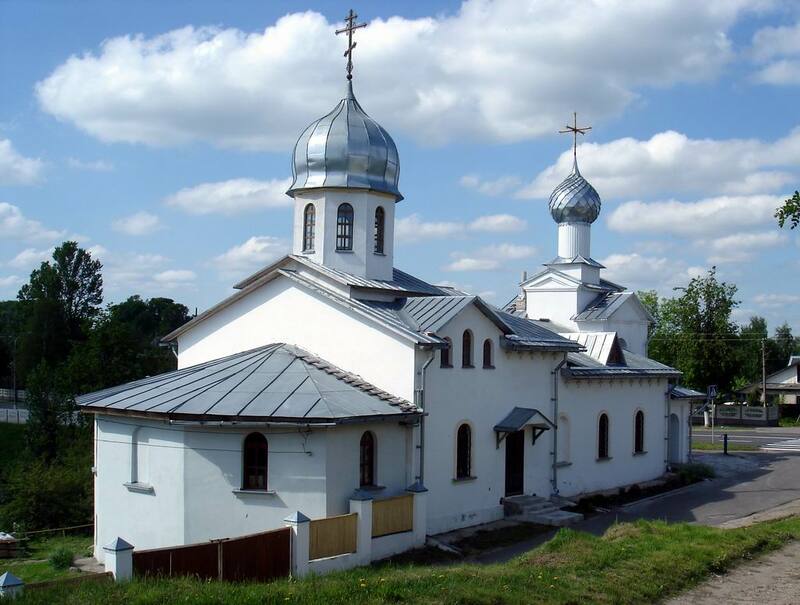 Besides, this is one of the few two-story temple of Vitebsk so beloved by the parish. Monumental, majestic, solemn – this church in Vitebsk so harmoniously complies with the urban landscape that has become very special and unique modern decoration of the rapidly developing city. The Temple of Euphrosyne of Polotsk has been built recently, but it only adds it a special singularity. After the construction of the church the architecture of Vitebsk acquired its own special zest and unique style, the residents and visitors have another chance to get acquainted with the unique history of the city. 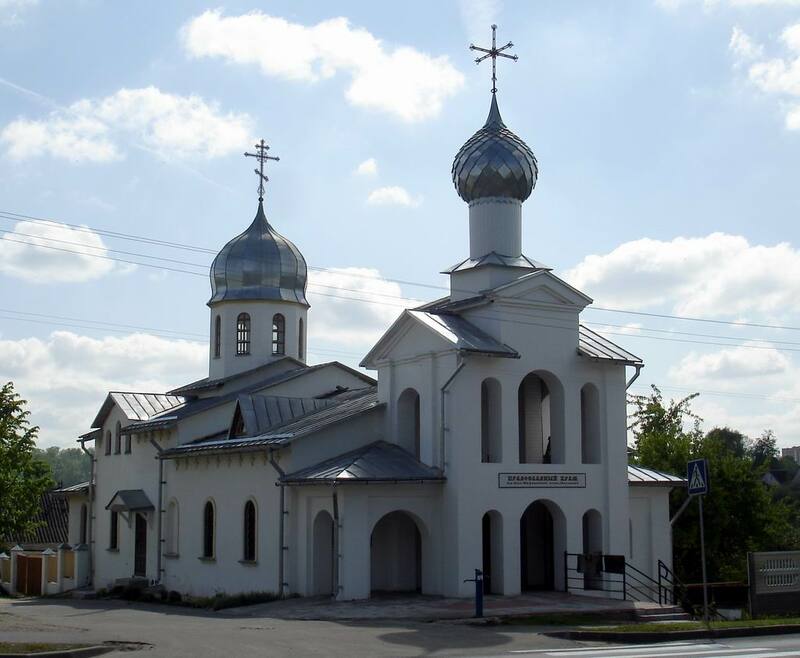 Not only parishioners, but also many of the guests note that the Church of Euphrosyne of Polotsk is the modern landmark of Vitebsk. The main feature of the church lies in the presence of two storeys, two floors. At the lower floor there is a church in honour of St Nina, the Enlightener of Georgia. And at the second floor there is the main Temple of St.Euphrosyne of Polotsk. By the way, in Orthodoxy, it is assumed that each of the two floors of the church has its own character and destiny. Bottom floor is a symbol of carnal church, and the top symbolizes the solemn, holy and heavenly temple. 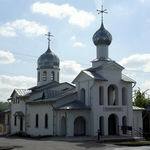 Therefore, much attention and respect is paid to the Temple of Euphrosyne of Polotsk among other churches in Vitebsk. The history of the city of Vitebsk allocates a considerable role to the church. The mere fact that old and young came to the construction of the temple, says a lot. The church was built on donations from its own parishioners. The holy case has rallied people of all ages, with different views and priorities, but united by the common faith. Some helped by material contribute to the sacred cause, others spared no effort and skill, without which it was impossible to build the Temple of Euphrosyne of Polotsk. It all started back in 1998 when the local organization of soldiers-internationalists gave one of its buildings to Vitebsk Diocese. It was in disrepair, needed major overhaul. After some deliberation it was decided that a beautiful and amazing church in Vitebsk will appear at this place. Soon the pages of the history of the city captured one of the greatest buildings – and after some time the culture of Vitebsk refilled with no less valuable and important exhibit. The first service was held in 2001 on the occasion of the great church feast of the Annunciation. So it was marked the opening of the first level of the temple. The second level of the Temple of Euphrosyne of Polotsk was added much later - after five years. Regular services have been held here since 2007, starting with the joyous holiday of Christmas. The Temple of Euphrosyne of Polotsk distinguishes by a special beauty, and therefore does not leave anyone indifferent. The thing is that this landmark of Vitebsk differs among a number of other special with warmth and cordiality, in spite of the grandeur and strict solemnity of the church. Each element of the church seems to be permeated with good thoughts, light and warmth of human hearts. The interior decoration and painting will inadvertently touch you up on idea to what to see the Temple Euphrosyne of Polotsk in Vitebsk first. The solemnity, luxurious self-restraint, refinement of forms and at the same time, their simplicity involuntarily suggests that we observe one of the wonders of the world. In addition, belonging to the modern city building, the church was built taking into account the trends and demands of modern society, therefore, it is a stylish element, not only in architecture but also in the culture of Vitebsk. The temple as though became the center, a special sense of life, uniting around and filling the urban development with spiritual content and holy majesty. At the city portal VitebskCity.by you can find many interesting facts and about other historical monuments of the city of Vitebsk. For example, the architecture of Vitebsk is proud of the Church of St.Barbara. A special role in the development of the culture of Vitebsk belongs to Museum of Marc Chagall, Railway Station Square and Kirov Street. All these facilities are compactly located side by side with the Church of Euphrosyne of Polotsk. This in turn will make acquaintance with Vitebsk most complete and enjoyable. Address the Church of Euphrosyne of Polotsk: 34/1 Leningradskaya str., Vitebsk.